So you’ve decided a destination wedding is the way to go. Now what? Picking your exact wedding destination might just be the most difficult step of the entire process! But if you’re after a tropical oasis with beautiful flowers, gracious people, amazing sunsets and a rich and colourful culture, Thailand might just be the perfect fit. If that’s not convincing enough, read on to learn the top five reasons why having your beach destination wedding in Thailand might just be the easiest decision you’ll ever make. It’s one of the most popular reasons for saying “I do” in Thailand, but with such postcard-perfect beaches on offer here it’s no wonder. With crystalline waters, power-white sands and masses of swaying palms, Thailand’s coastline and sun-kissed islands are perfect for a dream wedding. 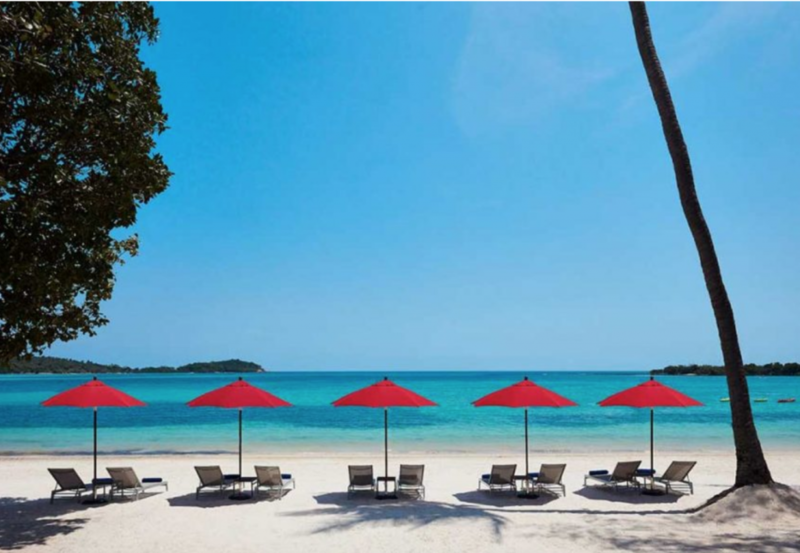 For idyllic beaches, head to Koh Samui or Phuket. 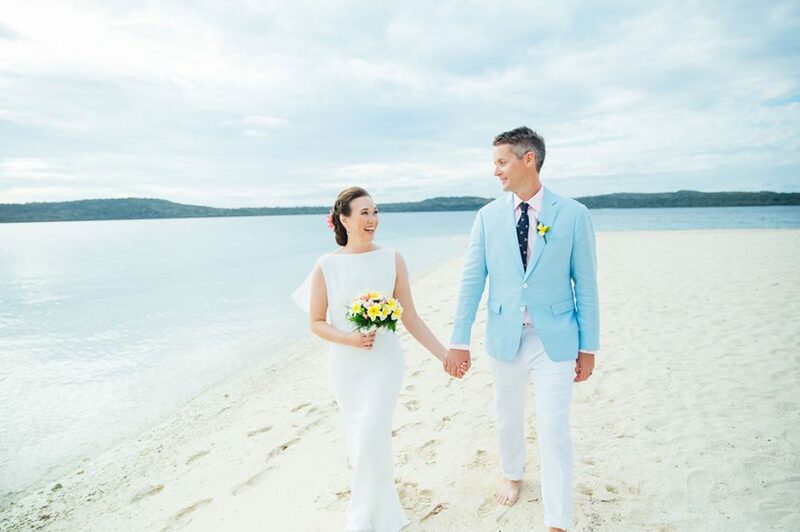 There you’ll find an array of waterfront resorts and hotels that specialise in toes-in-the-sand ceremonies, plus plenty of gorgeous spots for photos. Another enticing reason to escape to Thailand for your wedding, the destination’s favourable exchange rates means celebrations can be fabulously affordable. Many resort venues offer packages that cover all the essentials (plus often luxurious touches like tuk tuk transport for wedding photos and special bridal rooms for ‘getting ready’) for a comparable price. Topping it all off, you’ll also be treated to incredible honeymoon deals as part of your venue package – sounds good to us! There’s no denying the allure of tying the knot at a luxury resort. With dedicated wedding experts on-hand, romantic accommodation options, delicious chef-prepared cuisine and picture-perfect ceremony and reception settings, Thailand’s stylish resorts make for beautiful and stress-free weddings. Inspired? 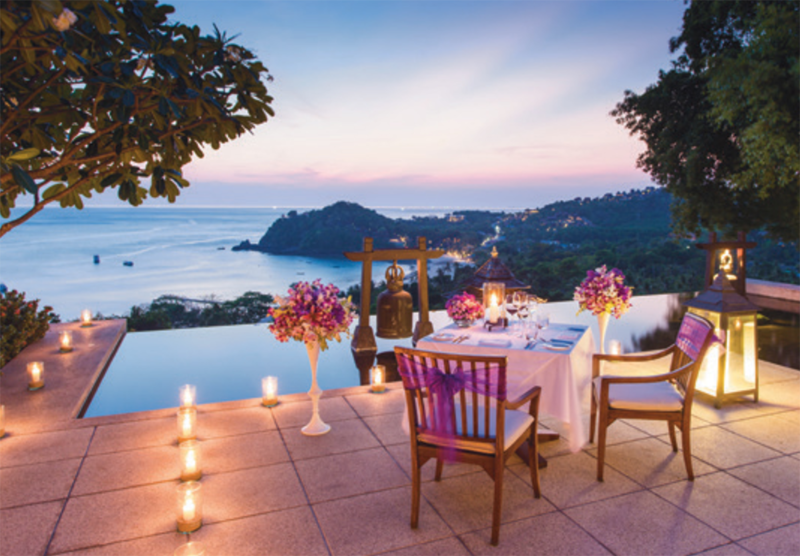 You’ll find a range of amazing resort venues in Thailand with our helpful directory. Thailand’s locals are known around the world for their friendliness and welcoming spirit. You’ll be treated to all this and spectacular service when you celebrate your special day here, plus talented wedding professionals who go above and beyond to make your wedding unforgettable for all the right reasons. Need a little reassurance planning a wedding overseas? Your Thailand venue is likely to have its own wedding planner that will take care of all the fine details – from the legal documents to styling the reception. For more need-to-know information, check out our Thailand Wedding Guide and get clued-up on Thailand’s wedding legalities, climate and traditions. If you don’t fancy the idea of wasting precious time waiting for transfers and flights before escaping for your honeymoon, keep things fuss-free and explore Thailand for a post-wedding getaway. Whether you stay in the same locale or discover Thailand’s other wonderful destinations, honeymooning here is always a good idea. Our advice? Bliss out on one (or a few) of Thailand’s exotic islands, find adventure and seclusion in its north or enjoy the glamorous city life in Bangkok.